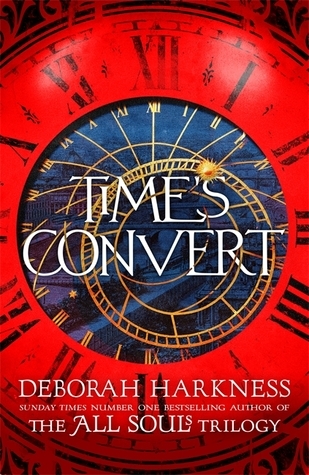 Time's Convert is an engaging read, set in the world of the All Souls trilogy. I have to say, the book was a little different from what I'd expected. Instead of solely focusing on Marcus, it encompassed his tale into a narrative that also included Matthew and Diana, picking up shortly after the original trilogy left off. On the one hand I liked this, since I love Matthew and Diana. However, as we weren't exclusively with Marcus, I didn't feel as connected to him as I would have liked, especially with Diana's narrative still in first person and his only in third, which was more distancing. But that's a minor gripe as I still found this a hugely enjoyable read--not least since parts were set in my favourite 18th century--and it was a hard task to put it down and turn out the light each evening. I know Harkness has more of these spin-off stories planned, and I look forward to reading them. 4.5 stars rounded up to five.